Could your beautiful tree have creepy crawlers in it? 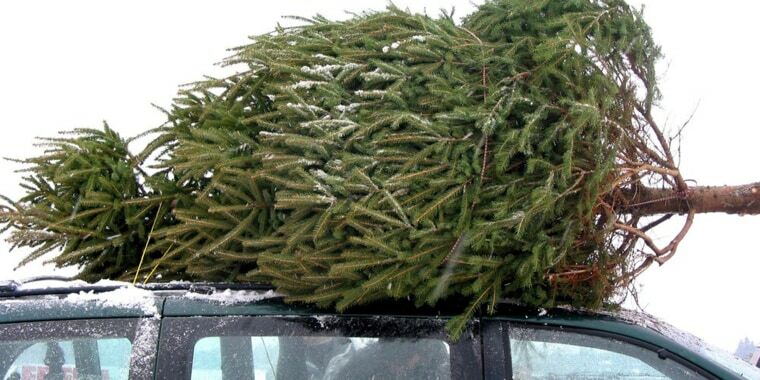 When it comes to Christmas trees, there's nothing quite like the real deal. While some prefer artificial trees (less messy, they say), there's a certain magic only real trees provide. Something not so magical? The thought of bugs living in your Christmas tree. It may sound irrational to worry about creepy crawlers in your spruce or fir, but those festive trees could be filled with a lot more than ornaments. According to Doug Hundley, a retired pest management professional who now serves as the seasonal spokesperson for the National Christmas Tree Association, Christmas trees have always had bugs. You just haven't noticed them. "Christmas tree insects are so small you'll never know they are there and they have always been on real Christmas trees," Hundley told TODAY Home. "On a rare occasion a particular insect like a common aphid may crawl off a tree and be noticed by the family, but these are harmless hitchhikers." Christmas trees, like any other household plant, will have a few bugs here and there and are a totally natural occurrence, Hundley explained. The most common insects potentially living in your Christmas tree are safe, non-invasive species such as aphids, spiders, mites and bark beetles. Want to avoid the creepy crawlers? Most farms and companies inspect their trees and spray them thoroughly before they're sold, but you can take a few extra precautions to avoid inviting insects into your home. Health and wellness expert and author Sophia Ruan Gushee suggests shaking the tree vigorously before bringing it to your living room. The bottom line? You can’t guarantee that your Christmas tree won't have a few stray bugs, but you shouldn't worry about anything too harmful. And rest assured that the professionals are taking precautions to make your Christmas tree as magical and bug-free as you envisioned it would be! This article was originally published on Nov. 30, 2017 on TODAY.